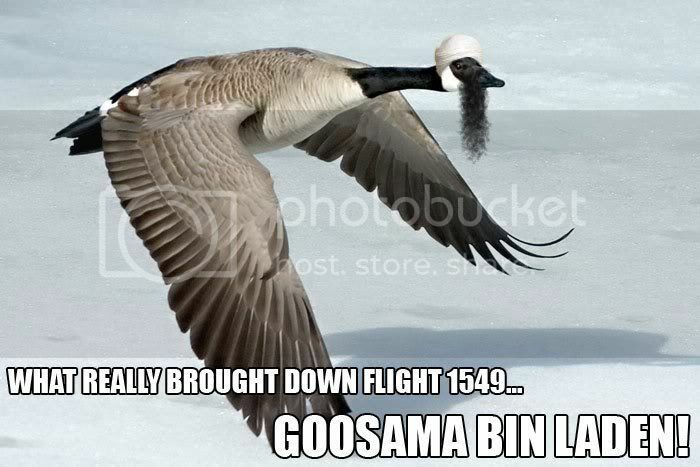 of the goose, that how she remember Osama Bin Laden. Nice to know my humorous postings elicit some laughter in people. That is the purpose! Thanks! Nice to know my humorous postings elicit some laughter in people. That is the purpose! Thanks. Go to hell...Goosama Bin Laden.....lol!